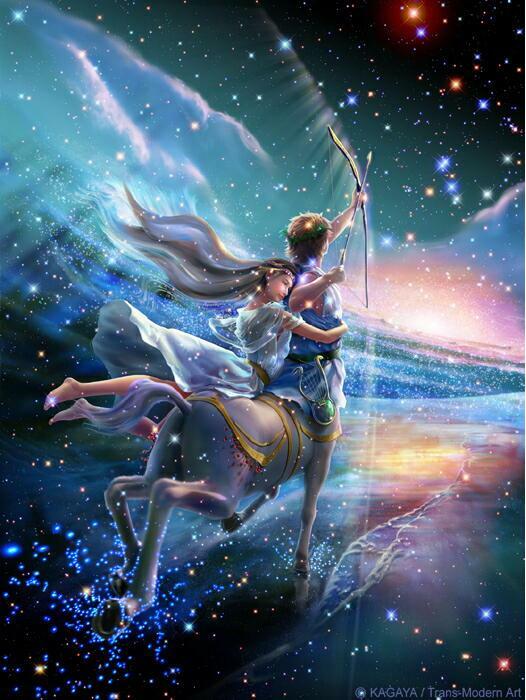 Mercury in the sign of persistence and steadfast Taurus opposes Mars the fighter in the relentless sign of Scorpio. Scorpio doesn’t always play fair and Taurus can be stubborn beyond belief. These two can keep up the “thousand year war” without losing steam. The end can be ugly accompanied by heavy consequences and innocent casualties. On a lighter note it can feel refreshing to clear the air and to feel that you’ve had your say. I’ll personalize how that most likely will play out for each sign. 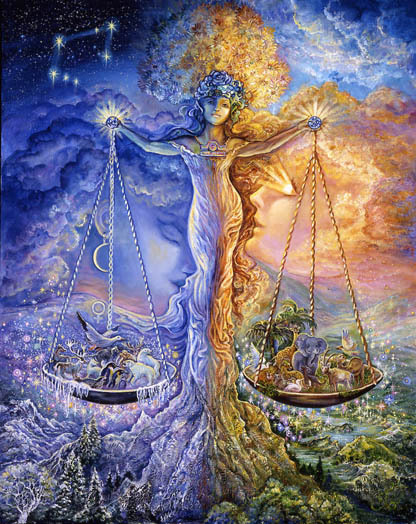 Mercury changes signs on Sunday – from Taurus into his home sign of Gemini. The smoke clears and the pressure subsides. Mercury in Gemini has exceptionally clear perceptive abilities and these days he’s a major player ruling Jupiter and Venus from a place of strength. It is likely that we will not misinterpret the nature of our relationships, our current responsibilities, and our most effective and efficient way forward. Pluto, a powerful regenerating influence, is unusually supportive of our future. This week he aligns with the current Jupiter/North Node conjunction. 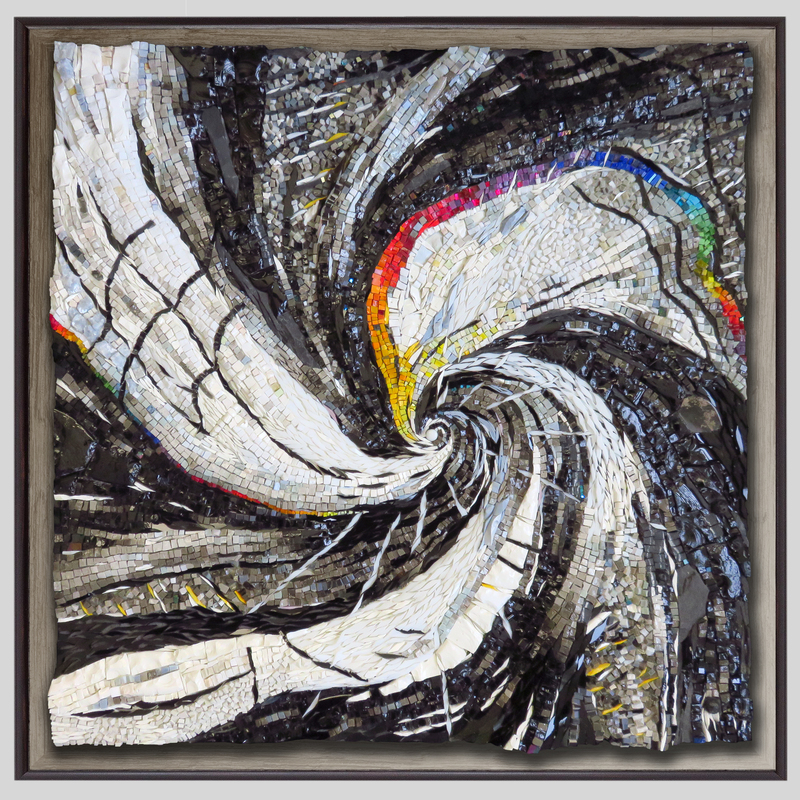 We may be undoing lifetimes of entanglements to jet propel ourselves into a future that feels right. The ongoing, once every 35 year Saturn/Neptune closing square is exact. Lots of energy is being generated to dissolve what’s become useless to us and to materialize something that has always felt like a long-shot – way too ambitious, too ideal, too impossible, too formless, or too impractical. Whatever has previously stood in the way is being slowly dismantled. Whatever has seemed like a pipe dream may now be solidifying. When Neptune turns retrograde, our feelings are more astute at picking up and perceiving the illusive. It is easier to ascertain information about issues that have eluded us while Neptune was direct. 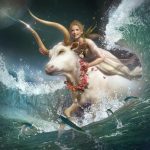 Delphine Jay feels that it is essential that we do something about the problems that we pick up on while Neptune is retrograde because they can worsen when Neptune goes direct. 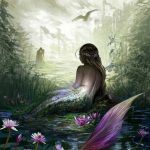 I personally have noticed that, if you do not work on an internal level while Neptune is retrograde, you will be plagued by feelings of disillusion and vague dissatisfaction. As one’s perceptions become more acute, it is important to listen more, listen to the “inner voice,” so that you can see more of what is going on around you. 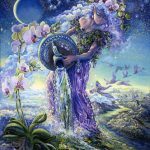 It is essential that you talk about what you are feeling, sensing or absorbing because Neptune retrograde can produce a type of psychic overload for very sensitive people. Heightened sensitivity can be both an asset and a liability. 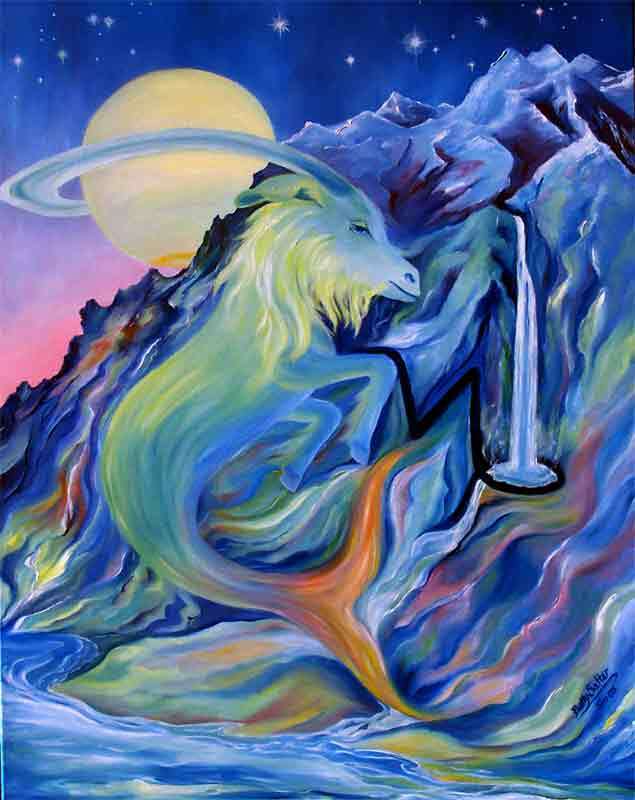 It is important that you avoid drugs, chemicals and stimulants while Neptune is retrograde. Protect yourself by refraining from associating with addictive personalities, psychic attractions, and overwhelming people who drain your energies. Wearing black tourmaline can funnel off negative energy and psychic attack. 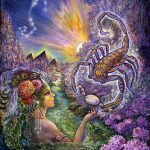 If you feel a little paranoid during the retrograde period, it may be that you are picking up too much from your external environment. 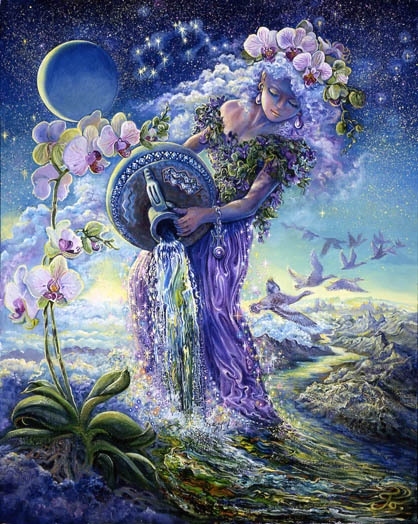 As an asset, this period is excellent for using and cultivating your psychic perceptions. 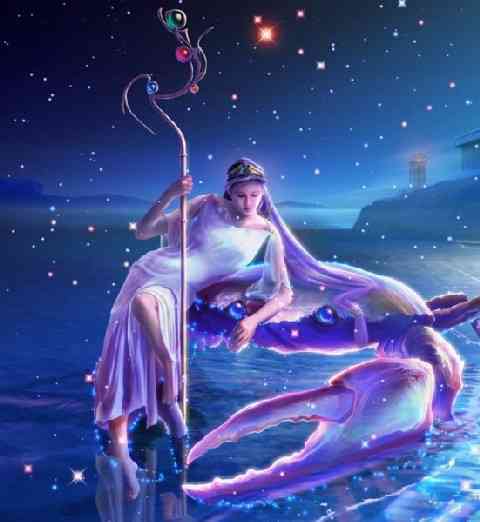 I am not aware of the augmentation during the retrograde period but I am aware that my abilities seem to diminish when Neptune turns direct. This is the week to experiment with a new level of control over yourself. 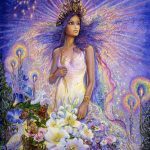 You may be moving beyond the level of indulging intense emotional extremes and allowing yourself free reign to express those directly and impulsively. There was a time for indulging your impulsivity and instincts but this week is not it. Too much potential for a type of self-destruction that isn’t transformative or healing. It’s simply painful and unnecessary. Now is when you gain confidence in your ability to reign yourself in and to exhibit self-control whenever you feel it’s in the best interest or serving your long term goals. 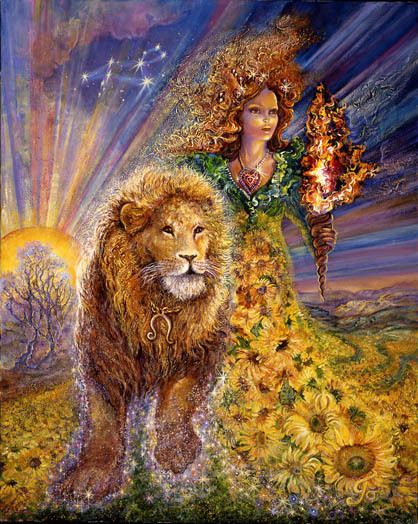 From now until August 1st immerse yourself in refining your ability to skillfully wield the enormous amount of power and control that courses through you. There is nothing you can’t achieve unless you insist on responding haphazardly to instincts and impulses. You’re advancing rapidly to the point of being able to use untamed energies in the most productive and healing ways. It seems you are given the choice this week between something obsessive, compulsive, destructive but temporarily comforting, and something controlled, well-thougt out, disciplined, and effective. Physical urges have the ability to completely overwhelm what is in your long-term best interest. Indulgence can feel good in the moment but regrettable in hindsight. It seems you have moved into an awareness of the need for control. You can master it. The promise of substantial reward makes the effort and the temporary feeling of deprivation well worth it. Your sense of self-worth can be dramatically enhanced this week setting off a cascade of improvements including financial improvements, strengthening of the physical body, and the achievement of a new level of inner stability and peace. This week has the potential to deliver to you in abundance the things you most value – if you choose wisely. 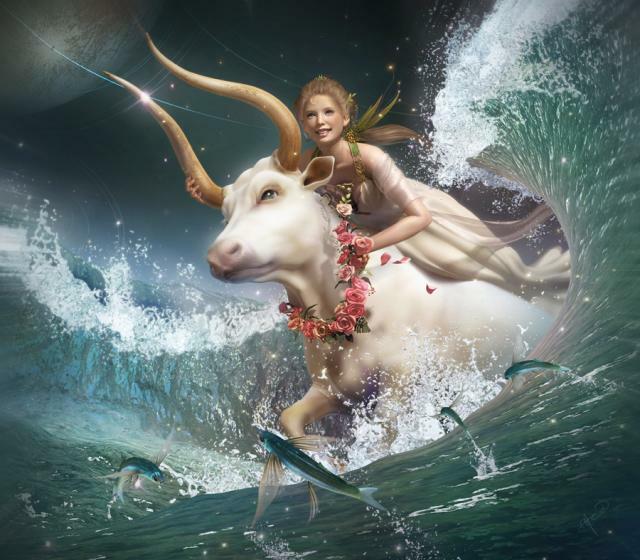 Because Mercury resides in your 12th house in the sign of Taurus this week, he’s possessive and self-protective. This is not the most flexible placement I can think of. He’s also elusive and difficult to access. Mercury knows lots of stuff that you need to know – stuff that you don’t necessarily know you need to know. There may be a vague feeling that you’re missing something important but it’s just outside the realm of conscious awareness. This week your attention may be focused on finding the missing piece or the answer you need most. I don’t know the best way to access the answer your searching for, but “down time” and “alone time” seems directly proportional to increasing your chances of finding it. Formulating and asking the right question seems important. Observing the effects of a partner on the degree of passion and aliveness you feel, the extent of your patience with the pace of transformation, and the part of love you don’t understand, may provide some clues. Venus resides for now in your 12th house…a powerful and painful placement accompanied by the feeling that you’re not loved enough and can never be loved enough. 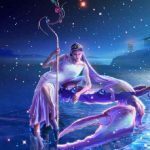 Venus in the 12th house is more likely to bring an intangible universal kind of love that supports you through all of your moods rather than something you can touch, feel, and hold – like a lover. 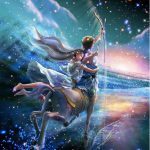 The other possibility is that your visions of love and what you expect transcends the normal human experience, moving it into a distant realm of something that’s impossible or highly unlikely to materialize. 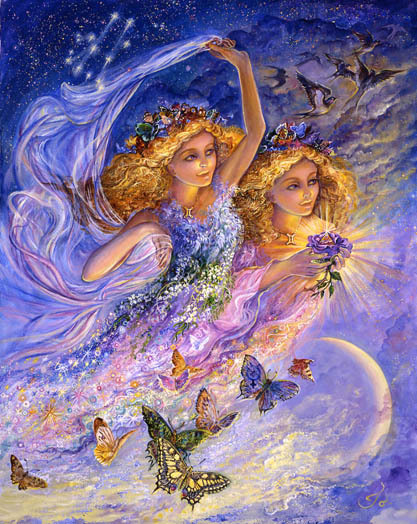 The need to sacrifice within the realm of love comes from old programming and role models you witnessed at a young age. Opening your mind to a different, more fulfilling version of love is now possible. Indulging in some time alone when Venus transits your 12th house puts you in closer touch with her. 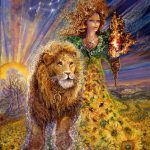 This week she brings you answers and facilitates an intuitive knowing that is most useful to you in the moment. .
Leo may be coming to terms with the loss of something that once filled you with great passion – a dream of fame and success that didn’t materialize – or a love that was lost. My guess is that lost love is the culprit because love is such a central theme and essential ingredient for a Leos psychic survival. Leo is, in my opinion, the most emotionally vulnerable sign. Their coping skills are unsophisticated when it comes to love and loss. They remain delicate, child-like, innocents into adulthood, the ones most likely to be changed forever by the one-time loss of a passionate love. Retentive Mars in Scorpio moves retrograde in the 4th house of endings… opposing Mercury in the stoic, stubborn, sign of Taurus. Mercury’s job is to soften, to allow the grief to be felt, to say good-bye and to move on. It’s time. 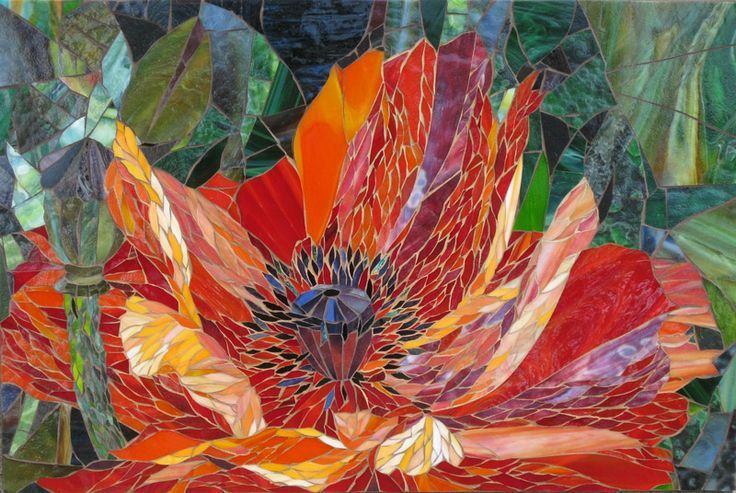 The gift is a resurgence of life – the ability to be passionately involved once again, to breath fully, and to love someone completely without reflexively holding them at arms length. Critical to your success is the need to soften to the idea of fueling your inspiration – understanding more fully how that enhances your life and allows you to embrace and become what you love. 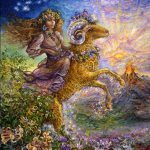 If you’ve been resistant to travel, to changing your beliefs, to opening your mind, to experiencing an awe-filled adventure, or expanding your future vision this horoscope is for you. It is possible to be an armchair traveler and to feel inspired by that process. It is possible to break from your controlling routines and rigid mindset to imagine a future bigger than the one you currently think is possible. This week a confrontation ensues as you rebel against smallness, claustrophobia, and mind-numbing familiarity. Your mind is being given the option of stretching in uncomfortable ways. It’s time to imagine or actually plan a trip that takes you high into the mountains where your perspective on the world is all new – where you experience cultures and beliefs that are different from your own, beauty that brings you to tears, vistas that deeply inspire you, and a degree of flexibility you forgot you owned. If I were you I would focus on the future and examine the methods I’m using to get there. This week process seems more important than product or outcomes. Do the means you use justify the ends? Or does the end justify the means? Whatever your process it’s most likely being infused with moments of grace, beauty, love, and a reminder that the present moment matters. Or the absence of beauty and grace may be causing you to wonder if you need to make some adjustments. Whatever the case, an opportunity is being offered. A resistance to transforming the nature of your mindset may be influencing your decision to stick with some harsh, self-abusive means of achieving results. If you look back that may be the story of your life. 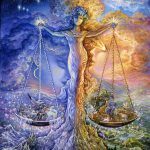 It’s a story that defies the true nature of a Libra – one who needs to make the journey as beautiful and joy-filled as possible… even when that entails relationship risk. This week your attention can be drawn to the quality of your present moments – especially within the realm of relationships. For a long time you’ve tied your mind in knots – designing a tangled web that gave you mixed information about the nature of your relationships – and the hope that you were wrong, misinterpreting the truth, or coming to premature or incorrect conclusions. 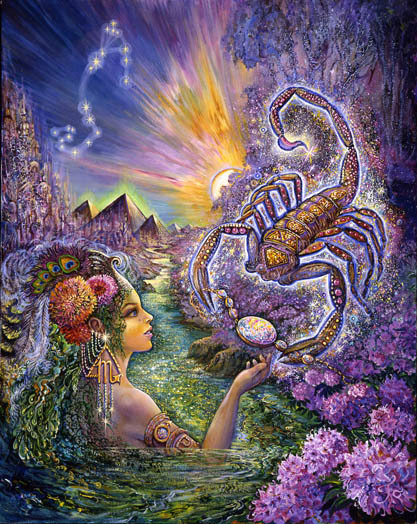 This week Mars in Scorpio kicks into high “retrograde” gear as it cuts deeply into the tangled web you hoped would protect you from the truth. Something you thought was resolved returns to give you clarity about your willingness to accept roles that diminish you. It also gives you the increasingly “difficult to sustain” option of remaining willfully blind. Softening your stance on the truth and foregoing some of the mental resistance and “knot-tying” may open doors for you. 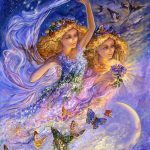 At the very least it will release the energy you’re currently using to keep the truth at bay to create a more dignified and powerful role for yourself – one that honors your true worth and aligns you with those who recognize you as invaluable. For about a year and a half it was as though you were “stuck in the slow lane in heavy “stop and go” traffic. That took a toll on your brakes. Now they’re about worn out just as the fast lane has opened up. You’re progress is being greatly accelerated and you don’t minding speeding to make up for lost time. Actually Sagittarians never mind speeding. Their fiery nature makes it seem that things always move too slowly. So buckle up. A major transformational experience is unveiling your real worth. In the rear view mirror your past is quickly disappearing as you align with your true purpose. Old roadblocks and old disappointments fade as you define yourself in new ways. Success is more likely as secret information is exposed and your mind aligns and adjusts to it. Opportunities to get your voice heard and your writing read increase. The effectiveness of your methods may be on display. In the most interesting, open-minded, and effective ways, a personal release or opening gives you the opportunity to lead others into the future in the most interesting, mysterious, open-minded, and effective ways. There are various forms of freedom but none more freeing than bringing something that’s been stored or programmed into the darkness of the subconscious mind to light. 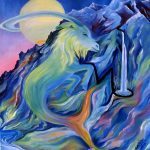 Something powerful and magical is at work for chronically fearful Capricorns, freeing them from their long-standing tendency to be confined by scary ghosts from the past. A fundamental frightening early relationship (most likely) set in motion a subconscious program that made it seem like others, less powerful and competent than yourself, should set the rules and lead the way. As the result of recent experience it seems that you’ve begun to emerge from that strange dream to recognize the truth. You’ve been freed – or are in the process of being freed – to proceed forward with confidence. Towing the line, proving your worth, and deferring to others, are mistakes you no longer need to make as your true value is progressively clarified. What will you do with the energy you no longer need to prove yourself useful and worthy? Taking the reigns and stepping into a lead role is one option. A few weeks ago you may have been introduced to information, a class, a workshop, or a course that had the potential to open your mind and change your life. The timing was right. You got the information you needed at a time when you were highly receptive to it. It may have felt like some mysterious coalescence of factors that advanced your understanding of something you loved but did not fully grasp or appreciate. It may have changed you and your fundamental relationship with the world. A door opened and you ran through it. Now you’re standing on new ground with critical new information and an advanced understanding of little known methods that can be used to create joy. You cracked the code. Now it’s time to put into practice what you know. Knowledge is power. Time to experiment with your new powers, to wave the magic wand you’ve been given, and to experience first hand how you can transmute darkness into light. 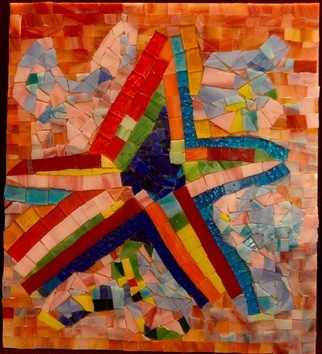 Simmering conflicts related to home, family, ego, possibly a sibling surface for resolution. Sharp words, verbal confrontation, or an intensifying inner struggle involving the need to release something old may be part of an ongoing scenario ripe for change. It’s time to clean up the past, to unchain yourself from hard feelings and difficult situations that keep you confined and in the dark. Venus is softening your ego. Intuitively you know that you’ve suffered as much as you’re willing to. Attempts to avoid and evade now will make things very difficult by the end of the year. 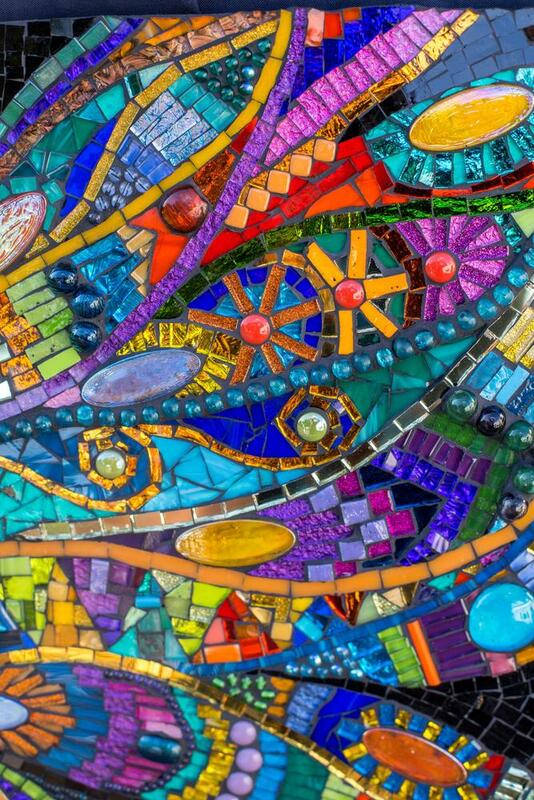 Now you have the opportunity to confront or to make a change that forges an opening of the heart and a different, kinder connection. A powerful surge of enlightened thought changes how you’ve habitually interacted with the world as well as the nature of your future. Closer to the end of the year things will ripen in a beautiful way and you’ll know that everything is possible because you engaged the opportunity to change the nature of your relationship with your family and your past.